[column size='1/2'][accordion title='Tyler Pressley Bio'] Tyler Pressley has been a brony since 2012. As a member of the Brony Community, Tyler’s interest lay in electronic dance music which he produces under the alias TPressleyJ. Available via his YouTube Channel, he does not produce many tracks in comparison to other musicians, but he always makes sure that the next track is of a higher quality than the previous. Tyler has been featured on various promotional labels, such as Cider Party and Ponies at Dawn. 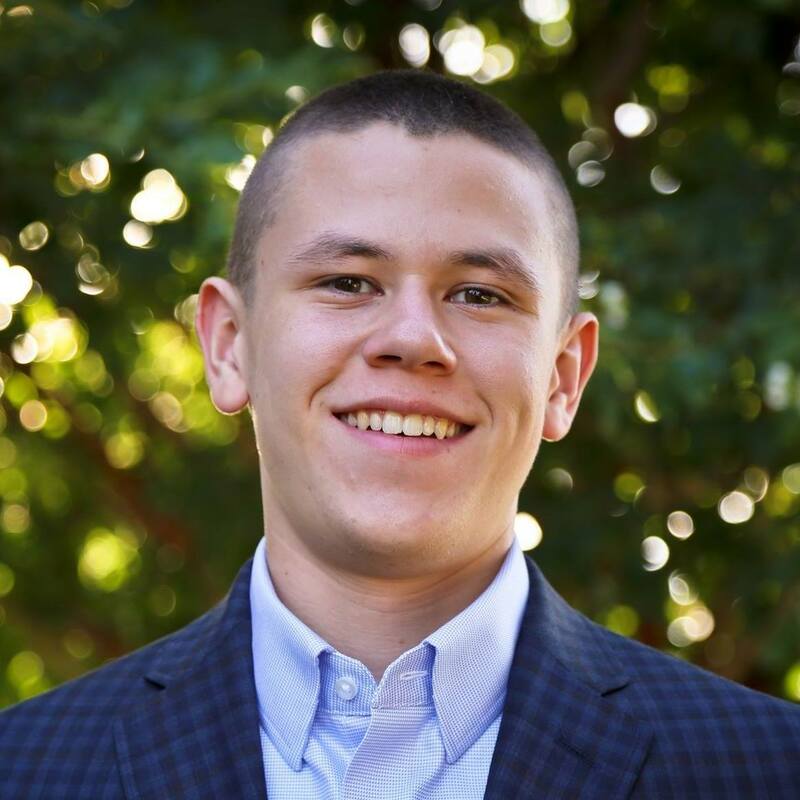 Tyler also is an avid fan of sports and as a hobby records video commentaries for hockey games at his second, but older, YouTube Channel, TPressleySports. Tyler’s interest in producing music came out of his serving as a bassoon player at the community college he attends. 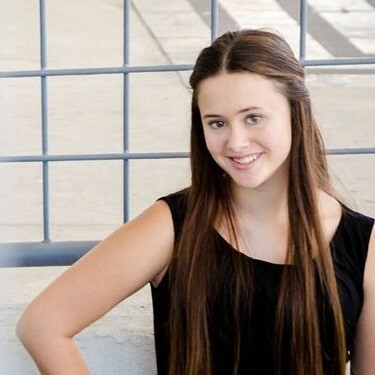 He has been a bassoonist since January 2011 and has not only been a part of several honor bands, he has also played with the 2015 High School Arizona All-State Symphonic Band and the 2017 Texas Community College Band Directors Association (TCCBDA) All-State Symphonic Band. 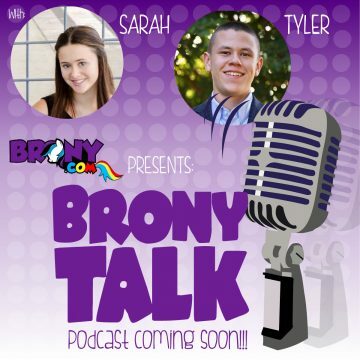 Is there something you’d like Sarah and Tyler to discuss on Brony Talk? Email them at podcasts@brony.com. BRONY TALK: EPISODE #002: THE SHAKE-UPS IN PONYVILLE LIKE TACOS TOO! Welcome, My Little Pony fans! As fellow Bronies, we're proud to be part of the Brony Herd. It all began in 1983 with Hasbro's adorable My Little Pony toys. After animated specials, a feature-length film and animated television series like the wildly popular "My Little Pony: Friendship Is Magic," our magical unicorns are now a worldwide phenomenon. To celebrate this great tradition of adventure and friendship, we bring you our line of officially licensed My Little Pony merchandise. Browse these pages for many exciting looks for your wardrobe and fantastic accessories to show the world your love and appreciation for the My Little Pony gang. Our adult merchandise features My Little Pony shirts that are perfect for any activity, whether it's a sun-filled day at the beach or a night out dancing under the stars. You might not be able to control the skies like Rainbow Dash and Fluttershy, but weather-watchers out there will enjoy our Cloudsdale Weather Factory T-shirt. For when it's cold outside, we have warm hoodie sweatshirts. There's even a cozy Rainbow Dash bathrobe. We have great shirts and hoodies for Brony juniors, too. From Rainbow Dash's Sonic Rainboom to the sassy "Pinkie Pie Don't Care" T-shirt, we have just the right look for you to step out with. Announce your longtime My Little Pony fandom with our "Retro Pony Stance" that's direct from the 1980s. Vote Rainbow Dash for president, or attract the attention of male Bronies and turn heads with our My Little Pony tank top. If you're a hipster, you'll want to wear the "I Heart Ponystep" T-shirt out to the club when you go dancing. We also have hoodies that double as great My Little Pony costumes. Our Rainbow Dash kids' hoodie sweatshirt comes with a mane, wings and tail. We also have MLP hoodies that double as great My Little Pony costumes. Our Rainbow Dash kids' hoodie sweatshirt comes with a mane, wings and tail. Be a loyal Brony wherever you go with our cool accessories. We have Rainbow Dash socks, a My Little Pony backpack, lanyards, wallets, trucker hat and more. Listen to your favorite tunes with the Rainbow Dash ear bud headphones. Our My Little Pony custom wigs will make you the hit of any party or the "Queen of Halloween." You'll also find a great selection of other MLP clothes, including pajamas. Be a loyal Brony wherever you go with our cool accessories. We have Rainbow Dash socks, a My Little Pony backpack, lanyards, wallets, trucker hat and more. Listen to your favorite tunes with the Rainbow Dash ear bud headphones. Our My Little Pony custom wigs will make you the hit of any party or the "Queen of Halloween." Best of all, our "Brony blog" will keep you in the loop with all the latest My Little Pony news. Check back often for TV and film news, hints about upcoming "My Little Pony: Friendship Is Magic" shows and more. We even talk to fans and people associated with the show. See our interviews with Cathy Weseluck (the voice of Spike) and illustrator Katie Cook. You can also watch My Little Pony videos. Ponify your life with our great My Little Pony apparel and accessories, and be the sharpest-looking pony in Equestria. Plasma Phi on What My Little Pony: Friendship is Magic Character Are You?